A recent study by NASA’s Spitzer Space Telescope proposes that the mystery object discovered around the distant star KIC 8462852 might just be a swarm of comets, rather than an extraterrestrial structure. This recent study, managed by Massimo Marengo of Iowa State University and to be issued in the Astrophysical Journal Letters, inspected the infrared light from the star. 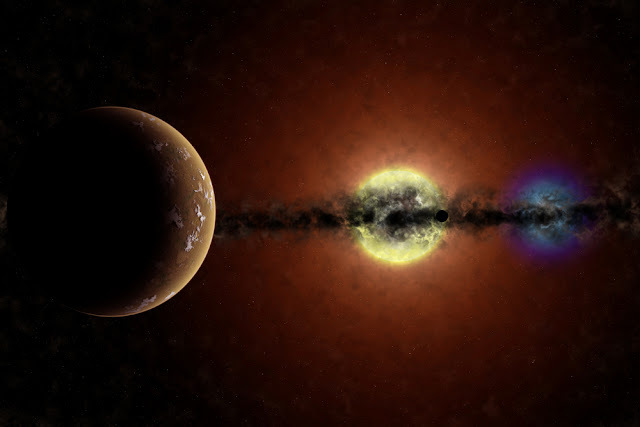 A remarkably huge amount of such light would show that a planetary impact or asteroid collision produced the large object seen diming the star’s light – and, even though not mentioned by the paper, infrared light would also be a signal of the proposed alien megastructure. According to the scientists, this assist the notion that a swarm of cold comets first blocked out the star’s light in 2011. In 2013, cometary remains covering behind the central group then blocked its light again. By 2015, however, this swarm had passed out of our track of sight. Apart from the rather farfetched alien theory, the outcome is disappointing for researchers anticipating to see indication of astronomical dust around stars. Michael Werner, the Spitzer project researcher at NASA's Jet Propulsion Laboratory in Pasadena, California, said in a statement "Spitzer has observed all of the hundreds of thousands of stars where Kepler hunted for planets, in the hope of finding infrared emission from circumstellar dust,"
Marengo said in a statement "We may not exactly know yet what's going on around this star. But that's what makes it so interesting."